The newest addition to Marblehead's conservation lands, the Robinson Farm, was purchased by the Town in 2005. For almost 200 years this 3.5 acre site was a working dairy farm and now is open to the public for passive enjoyment. 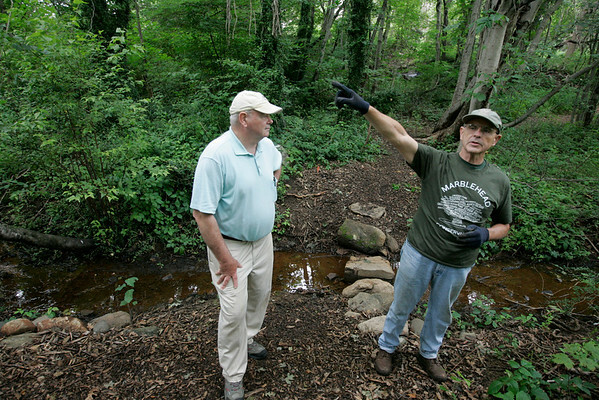 Here Don Morgan and Bob French of the Marblehead Conservancy talk about the property while walking through one of it's trails.